Wisdom of the BodyMind Symposium: Your online journey into the world of Psychosomatic Therapy and Your BodyMind Connection. Your online journey into the world of Psychosomatic Therapy and Your BodyMind Connection. We are so excited to say that on the 6th of October, we are hosting the first ever Wisdom of the BodyMind Symposium, proudly brought to you by The International Association of Psychosomatic Therapy (INTAPT). Your host and interviewer is Bianca Moeschinger, the President of INTAPT, and you can watch her in our introduction video. For 7 DAYS, you will receive 2 interviews a day, available FREE for the first 24 hours. On the day following the interview, we are hosting a LIVE Q&A with each speaker, so purchase Premium Membership for the whole package so you don’t miss out, & you will also receive a reminder email. You will get the opportunity to hear and see some of our very best Psychosomatic Therapy teachers, practitioners & professionals being interviewed in a very candid way. Experience the in-depth look at their journey, where they’ve come from to who they are today. It’s exciting to see the massive diversity of our speakers, and yet, we all have the common ground of Psychosomatic Therapy as the backbone. As a BONUS to our subscribers, we are also excited to share two EXTRA interviews. A very special interview with the founder of the International College of Psychosomatic Therapy, Hermann Muller, and an active member of our community, Clayton Dyer, where he shares the experience of living his life in a very connected and conscious way, with the insights and awareness his psychosomatic journey has brought to him. plus healing traumas and stress. Review our list of speakers and register for the talks that you are called to watch. We as teachers and practitioners of Psychosomatic Therapy have chosen to educate and bring the power back to the people, by highlighting and drawing awareness to the emotional and habitual reactions or patterns that are creating imbalances and disease before medicine or surgery is required. Many people have resigned themselves to accepting various diseases and attach to various labels of their condition as an identity. They end up getting surgery or drugs, with repeated treatments often over long periods of time rather than having to make changes about themselves or their lives. I have heard people refer to the medical treadmill that they are on – once on the treadmill they find it hard to get off. Psychosomatic Therapy works with the divine human intelligence, so many of the breakthroughs are quite difficult to scientifically evaluate beyond documenting case studies. The outcomes are often purely in the hands of the person we are working with. Much of our work sits outside of the medical industry, however we are beginning to coordinate with other professionals, many of whom are working on the same people (as patients) as we are. Thankfully, we as a human race are now opening up to work with ourselves in a more holistic way in relation to life and health. Perhaps, with more mutual understanding and interacting with a variety of professionals, we can begin to develop approaches and methodologies that can be clinically verified. Ultimately, we would like to see our work be more integrated into hospitals, clinics and be practiced widely within our communities. I feel, as a community, we are well and truly ready to take the next step in our own wellness journey, and start to take full responsibilities for ourselves, our emotional state, our health and diet. Please come in with an open mind & enjoy this Symposium.. This work is truly extraordinary and once you have had a taste you, will naturally see & feel the intimate intelligence of it. So, just what IS Psychosomatic Therapy? In medicine, the term ‘psychosomatic’ refers to “relating to the interaction of mind and body” and “a physical illness or other condition caused or aggravated by a mental factor such as internal conflict or stress”. Psychosomatic medicine is an interdisciplinary medical field exploring the relationships among social, psychological, and behavioural factors on bodily processes and quality of life in humans and animals. In other words – looking at a very broad set of factors that contribute to disease, health and life. In addition to more traditional medicine, it involves considering who the person is, their support networks, their behaviours and psychological condition to understand their whole health outcomes. Psychosomatic Therapy, as the modality taught by the Teachers from the international College of Psychosomatic Therapy, complements a holistic approach to the prevention and management of human disease based on the bilateral relationship between the mind (psyche) and body (soma). The therapy is therefore interested in how the mental and spiritual self is expressed in the physical form. It also studies how we can interact with deeper and even subconscious processes of the mind & spirit through physical means like touch, face & body reading and bodywork. 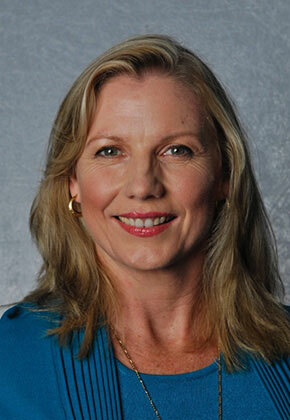 Angelique is a Psychosomatic Teacher and Therapist and Body Psychotherapist (practising student). She facilitates teachings designed to increase your body language vocabulary and self-master your people skills. 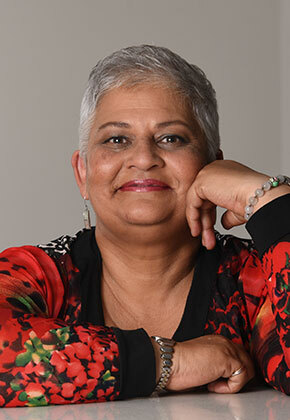 Her teaching style is designed for you to learn the unspoken language of the Body-Mind and to better understand interactions and reactions within your life. As a bodyworker, she draws ancient wisdom and intuition together with modern healing practices to support system balance. Her skills are well experienced in trauma, chronic illness, anxiety and depression. Delivered with powerful grounding and feminine softness she shares her knowledge and gifts to those ready to receive. 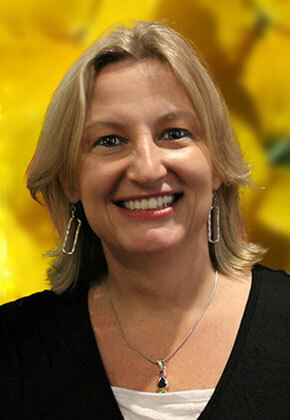 Bianca is a Master Teacher and the President of the International Association of Psychosomatic Therapy. She has been teaching for 6 years and teaches at Masters and Certificate level. 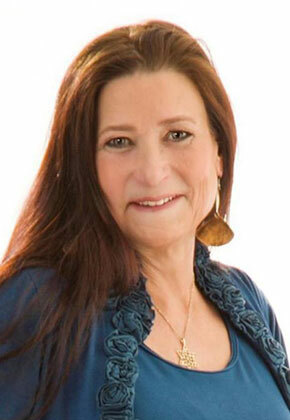 Carole is all about Personal Transmutation, Liberation and Divine Alchemy. She shows you how to peel back deep emotional layers through the use of Psychosomatic Psychology. Carole empowers you to release the issues in your tissues through her life changing training called BODY AWAKENING METHOD. Carole has been working directly with Hermann Müller (founder) for 17 years and is the first teacher in the World to teach The Masters and Diploma in Psychosomatic Therapy. Carole is the visionary for The Lightworkers Institute and all her trainings are based out of the beautiful rain forests of Costa Rica. Denise Miller, founder of MindFree Communications, is a relational communication consultant and mindset expert with a unique ability to entertain, engage and educate while presenting exciting information on the connections of the body, mind, heart, and soul. She offers an eye-opening new look at face reading, body language, communication dynamics and the intricacies of the mind. Denise facilitates workshops, presents keynote speeches and helps organizations build stronger teams and manage conflict. She also coaches senior leaders one-on-one to develop stronger executive communication skills. Erin is an inspirational teacher, mentor, psychosomatic therapist and teacher . She began psychosomatic therapy in 2005. Her intuitive, heart felt approach creates a compassionate space to discover and resolve mental, emotional and physical challenges. 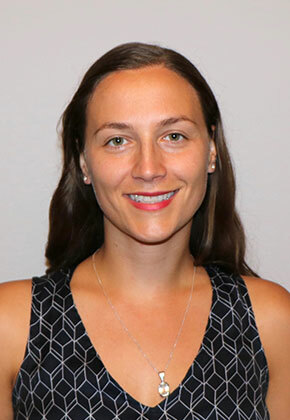 To empower clients beyond the therapy room, she utilizes a diverse therapeutic skillset to support individuals in self care and enhanced lifestyle practices. For 23 years Gillian has taught people to read people, to identify their unique communication style and understand the relationship they have with themselves. Gillian had a unique work experience pathway, as her father is Hermann Müller, the creator and developer of Psychosomatic Therapy. As Psychosomatic Therapy evolved it became the foundation of her business. 'Watching the client's realisation that they can reveal who they are with confidence and trust, through conscious communication and the self management of their lives, still makes me glow and grow within myself.' says Gillian. 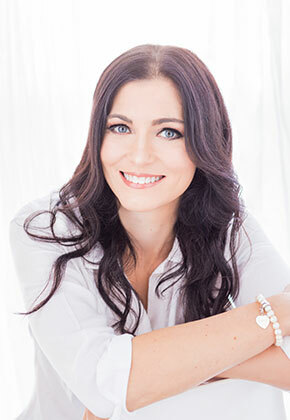 Jamie is a mind-body practitioner, entrepreneur & visionary who is deeply dedicated to supporting a more sustainable and spacious way of living through empowerment, embodiment and nurturance. 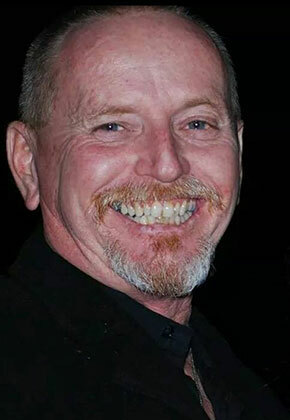 Jamie weaves a unique blend of modalities to lead others towards a more authentic, radiant & connected life. 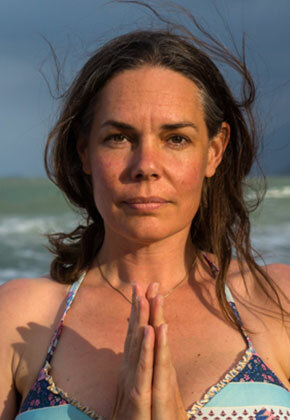 Kristiāna is a practising Psychosomatic Therapy Practitioner and Yoga Teacher in Fiji. She teaches Yoga using Psychosomatic Principles and can easily identify pain and imbalances in peoples bodies. Through movement, breath and intuitive technique she can create healing. Kristiāna was brought up in Latvia. Soviet time had a strong influence on how people thought, felt and behaved. One's motivation would mostly be a motivation via punishment or creating a feeling of 'not good enough' as one was never good enough unless excellency was achieved. One would need to reach higher, work harder, earn more money, go to university and get a degree as this would mean a good, happy life and a feeling of "good enough" which in reality was different. 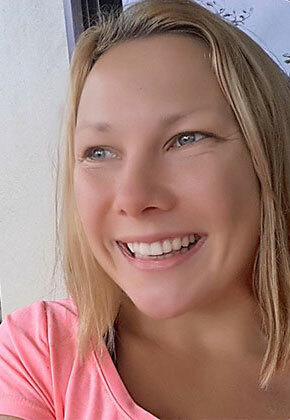 Through this background Kristiana has found freedom and strength in her body. This is what she now teaches. 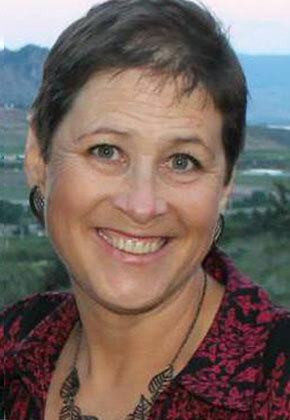 Linda Thakray is a Face Reader, Psychosomatic Therapist, and Registered Teacher of the Psychosomatic Therapy College. Training within Australia, as well as Internationally, she helps others to find that special “magic” which resides within all of us. Using our personal reference book, being the human face and physical form, she explores gifts, challenges and identifies pathways and keys to assist in understanding and releasing outdated patterns of thought, emotion and behaviour to allow for new possibilities, and transformation to occur. “I feel privileged to share my passion for this ancient practice and facilitation of deeper awareness and connection to self which ignites a ripple effect in others”—Linda. Psychosomatic Therapy gave me the tools I needed to heal my life. Now, everything I do is unique, more effective and has more meaning. The deepest spiritual work I've done has been in creating the business that now supports me. Drawing on over 20 yrs as an entrepreneur, I now empower spiritually minded practitioners who want to do what they love for a living. I will always teach Psychosomatic Therapy. It's my foundation & compass for how I live and all I do. It's shown me how to work with clients, to teach Yoga and work with the crystal singing bowls. Your body is a metaphor for your life. Marie Müller is an intuitive therapist and teacher, co-founder of the Harmony Body and Mind Healing Centre and co-director of the Psychosomatic Therapy College. 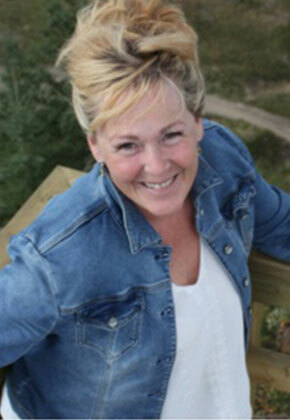 Marie’s long-standing presence at health & wellness expos in Australia, Norway, Canada and the USA, have brought her international recognition in the field of integrative health, metaphysics and psychosomatic therapy. 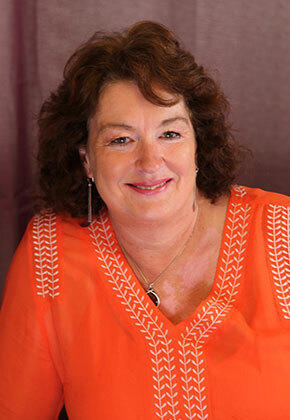 Over 30 years of private practice, Marie weaves her qualifications in metaphysics, remedial massage, NLP, hypnotherapy & psychosomatic therapy to deliver self awareness and spiritual development programs including The Living Soul residential retreat she created & co-facilitates with her husband Hermann. Marie is immersed in spiritual experiences including facilitating tours travelling to sacred sites around the world. 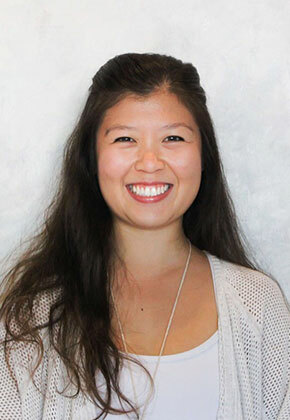 As a Psychosomatic and Craniosacral Therapist, Priscilla is a body-mind practitioner who focuses on self empowerment. Intuitively knowing where & what is being held in the body, her healing work realigns her client's energy to a whole new vibration. She works on releasing the feelings and perceptions that no longer serve them. This assists her clients to shift out of ‘stuckness’ and know they can move forward more grounded & with a greater sense of inner peace. 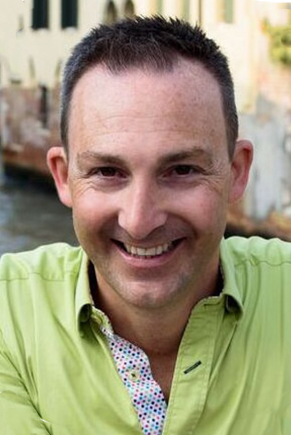 Sean became involved in the holistic industry in 2000 and onto teaching Psychosomatic Therapy in 2007. His background in Postural Integration gives him a unique approach to physical awareness with a deep emotional understanding of each individual. Sean is the living example of how self-refinement is a valuable tool and guides his clients and students on how to process life to bring clarity and empowerment. Through understanding our conditioning we are able to access the truth of our human nature. Now is the time globally to be the multi-dimensional, multi-sensory beings we are designed to be. 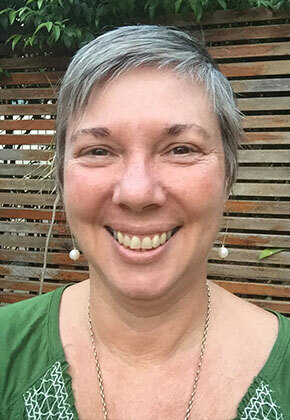 Vicki Delpero, Soul Embodiment Mentor, Psychosomatic Therapy Teacher, Inspirational Speaker, Author, Body-Mind Communication Expert and Art of Feminine Presence Teacher, draws from 30 years midwifery practice holding space for people from all walks of life. Helping them to remove constraints during what can be the most exciting and most challenging time of their lives - birthing new life. This gathering of knowledge, skill and courage to stay present in intimate experiences has brought Vicki a deep understanding of self, which led to her own healing of chronic illness. She now passionately brings this expertise to you. To stand with you now as you birth into your True Mastery. We are proud to be able to share with you this special & rare interview with Herman Müller, creator of Psychosomatic Therapy, co-founder of the International College of Psychosomatic Therapy, (based in Australia) & author of the books Guidance of the Masters, and Face to Face with Facts. Hear & see this special message of how he brought his teachings to the world. Clayton Dyer currently lives with a chronic health condition and this interview shares his profound & moving story. Taking us into his world of how he chooses to live ‘psychosomatically’ and what his journey with Psychosomatic Therapy has taught him.